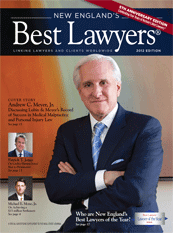 The 2012 issue of New England's Best Lawyers® included a cover article on Andrew C. Meyer, Jr. and the pioneering effort he has led on behalf of clients injured by medical mistakes and other forms of negligence. A few brief excerpts from the issue — which also lists five of the firm's attorneys among the "Best Lawyers in New England" in personal injury and medical malpractice law — are presented here. 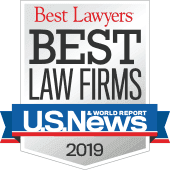 To read more from this article, please see: Lubin & Meyer's Record of Success in Medical Malpractice and Personal Injury Law.